Preparing for a funeral can not only be overwhelming, but it can be expensive. 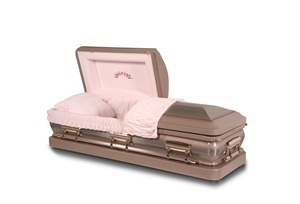 At Fast Caskets, we offer a large collection of clearance caskets that are not only affordable but beautiful as well. They are a perfect way to show honor to your loved one. that is scratched, cracked, dented, or bruised. When you are dealing with grief, the last thing you need to deal with is debt. Give Fast Caskets a call. We’ll help you find an affordable casket.